You are at:Home»iPhone»Apps»How Do I Organize iPhone Apps In Alphabetical Order? The Quick Fix! The Home screen on your iPhone is messy and disorganized and you’re ready to clean it up. However, you don’t want to spend all day tediously dragging apps around the Home screen. In this article, I’ll show you how to organize iPhone apps in alphabetical order quickly using Reset Home Screen Layout! What Is Reset Home Screen Layout On iPhone? 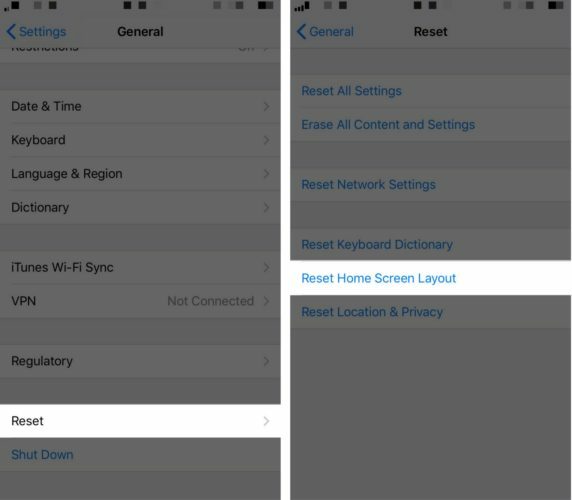 Reset Home Screen Layout resets your iPhone’s Home screen to its factory default layout. The built-in iPhone apps will be organized exactly how they were when you first turned on your iPhone and any apps you’ve downloaded from the App Store will be placed in alphabetical order. Before I walk you through how to organize your iPhone apps in alphabetical order, it’s important for you to know that you’ll lose all of your app folders by following the method below. So, if you don’t want to lose the unique folders you’ve created for your apps, you’ll have to manually organize your iPhone apps alphabetically. Secondly, the built-in iPhone apps such as Safari, Notes, and Calculator won’t be organized alphabetically. This method will only alphabetize apps that you’ve downloaded from the App Store. First, open the Settings app on your iPhone and tap General. Then tap Reset -> Reset Home Screen Layout. When you close out of the Settings app, you’ll see that your apps are organized alphabetically! Your apps are now organized alphabetically on your iPhone and you’ll have an easier time finding the ones you want to use. 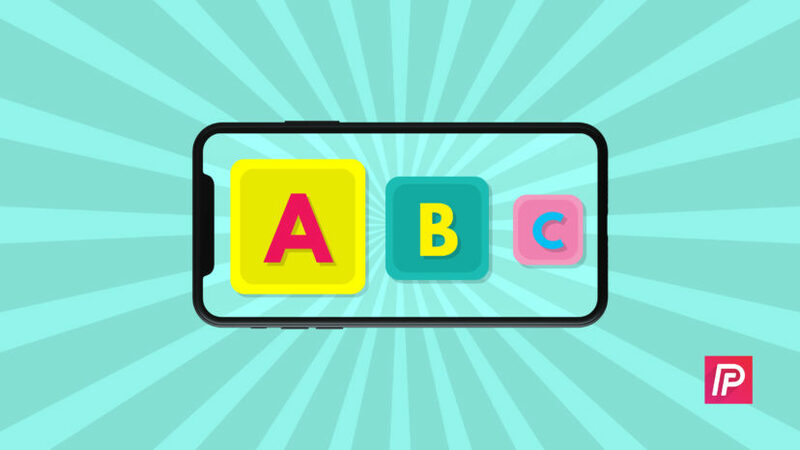 Share this article on social media to teach your family and friends how to organize iPhone apps in alphabetical order too! Previous ArticleHow To Download Apps On Apple Watch: The Complete Guide! Next Article How To Update An iPhone: Everything You Need To Know!